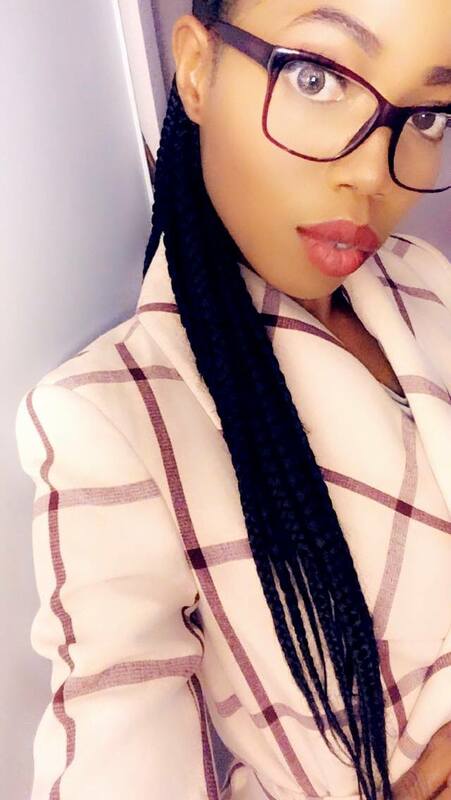 It is very important you keep your hands moisturized all year round, not just winter. As the saying goes “you can tell how old a woman is just by the looks of her hands”. It is true. Our hands are always too busy; working, cooking and sometimes in constant contact with water. These factors dry out our hands and leave them looking dry, tired and aged. Not that I’m saying there is something wrong with the process of aging, but premature aging is something of concern to most women. Also, it is not advised to wait to see your first wrinkle before you can start using these products. You can delay this process by taking precautionary measures. For this reasons, this posts focus and list 10 top rated best hand creams for dry wrinkled hands. The reviews of each and everyone one of them speak highly of these products. Protect your hands, not just your face ladies. 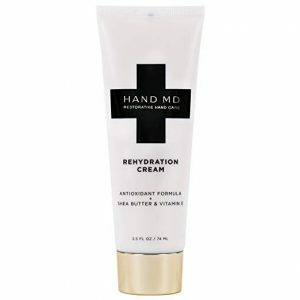 This concentrated multi-functional hand cream targets 8 signs of hand aging simultaneously. It is formulated to improve the looks of firmness, elasticity, density, evenness, brightness, texture, smoothness and hydration. 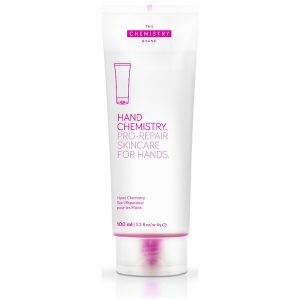 This lightweight but deep-penetrating formula delivers age-defying results for a noticeable difference in weary, chapped, overworked hands. Enriched with vitamins A, C & E plus green tea extract, this luxurious cream glides over your skin, leaving it feeling silky soft and moisturized. And while it’s hydrating, it also exfoliates to improve uneven tone and texture and minimize the appearance of those fine lines that age your hands. 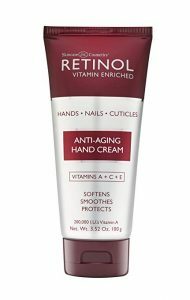 Your fingernails and cuticles get pampered as well with protective conditioning Retinol. Dermalogica Multivitamin Hand & Nail Treatment features a non-greasy formula that conditions and replenishes dry hands, repairing cuticle and skin damage. Pro-vitamin B5 and algae extract to soothe irritation and protect against environmental aggressors while licorice extract and vitamin C even skin tone. Vitamins A and E, ginkgo biloba and grape seed extracts combine to neutralize free radicals, diminishing the visible signs of aging. 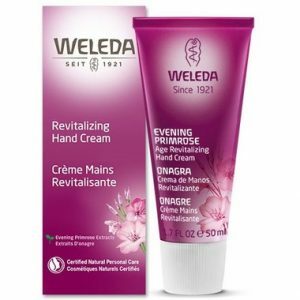 Weleda Revitalizing Hand Cream is made with precious shea butter which intensively regenerates hands prone to dryness and increases the strength and resilience of the skin. The formula, with Centella Asiatica extract, soothes and gives a more even appearance to the skin, a velvety soft feeling, whilst being easily absorbed. 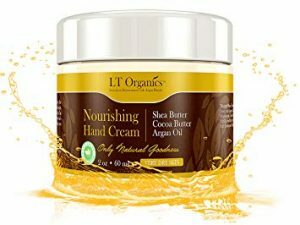 Sunflower seed oil, sesame seed oil, and olive oil replenish moisture, shea butter locks in hydration and wheat germ oil delivers the skin-renewing power of vitamin E.
The regenerative and healing properties will leave your hands, heels, and elbows looking and feeling radiant and healthy within minutes of use. 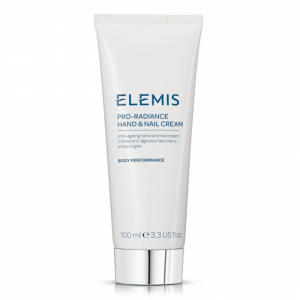 Nourishing Hand Cream aids in restoring your skin to a more youthful state. Specifically created to assist in reducing cracked, red and aged skin. 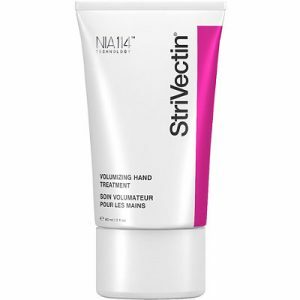 StriVectin Volumizing Hand Treatment strengthens thin and aging skin with hydrating moisture, fortifies its natural barrier and repairs sun damage and discoloration. Formulated with vitamin E and shea butter, skin is shielded from future damage and harsh free radicals. The creamy texture absorbs quickly and spreads easily, revealing firmer and brighter skin underneath. Unlike any other no-crack hand cream out there, Salcoll Collagen Hand Cream contains highly potent natural collagen that’s just about perfect for your hands. 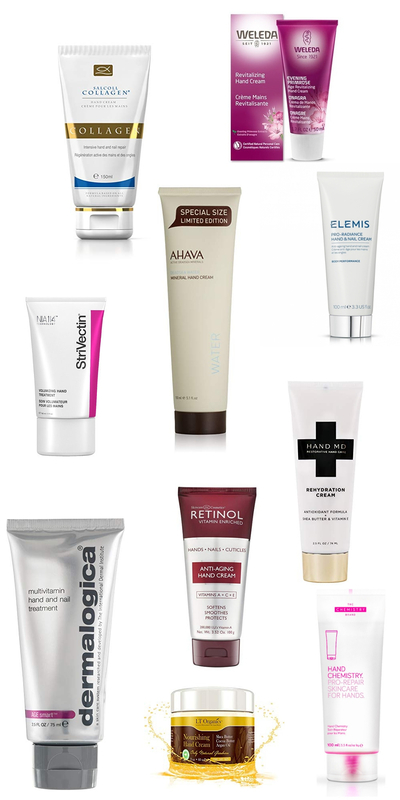 Most creams are loaded with chemicals that cause a negative impact on your skin in the long run. 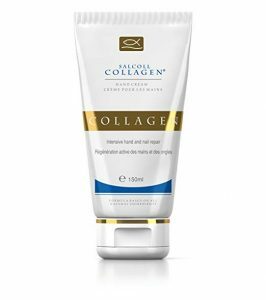 The marine collagen present in Salcoll Collagen Hand Cream makes it an effective solution for your wrinkled skin. With the supply of proteins and elastin from collagen, your skin becomes more supple and youthful. Rich in skin-friendly minerals such as magnesium, calcium, and potassium, Dead Sea water, delivers nutrients essential to maintain healthy, hydrated, and supple skin. AHAVA’s Mineral Hand Cream nourishes dry, chapped hands, protecting against daily damage. This fan favorite, one is sold every 21 seconds! Experience the instant boost to skin’s moisture level and bring back soft, supple hands. This site uses affiliate links. Click here to find out more. Previous PostPrevious 30+ High Quality Designer Bag Dupes For A Steal!